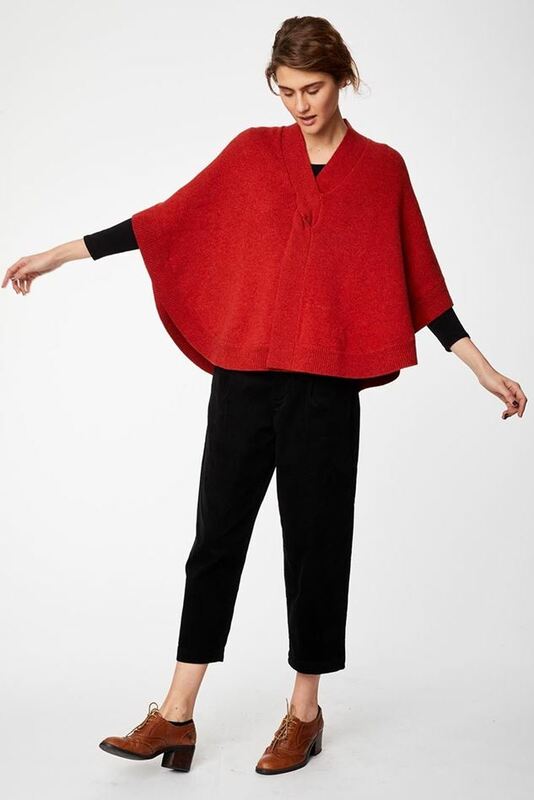 Wear this relaxed fitting wool knit poncho over any outfit to keep you cosy through the cooler months. In two new-season colours, the Margeux Poncho from Thought is crafted from cosy wool and organic cotton. It features crossover detailing at the front, with a curved, ribbed hem. Wear this relaxed fitting wool knit poncho over any outfit to keep you cosy through the cooler months. 70% wool, 30% certified organic cotton.